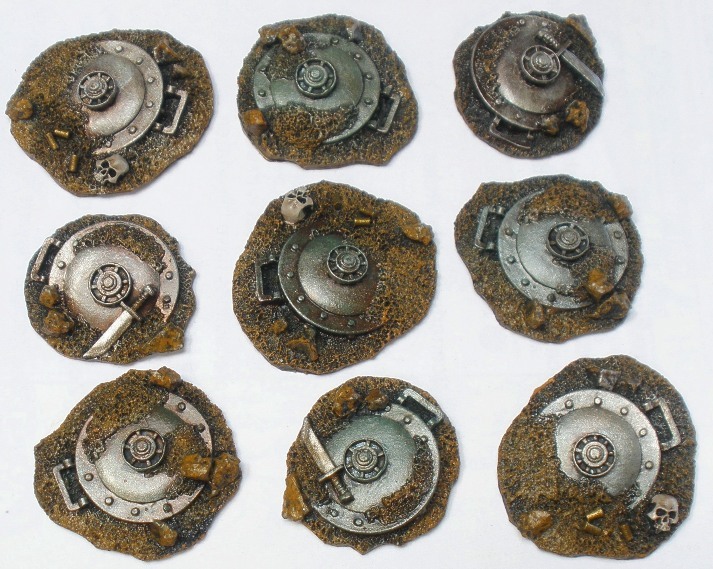 I am in the process of assembling a lot of smaller pieces of characterful terrain to give my tabletop gaming a little more visual interest and to function as encounter markers, scenario objectives etc. Trixie and the Zombie Crows are other parts of the same project. With that in mind I picked up the limited editon box of Mines, Bombs and Boobytraps that GW released in conjunction with their Planetstrike promotion this summmer. I have very little interest in ever playing Planetstrike but this little set was too cool to pass up. 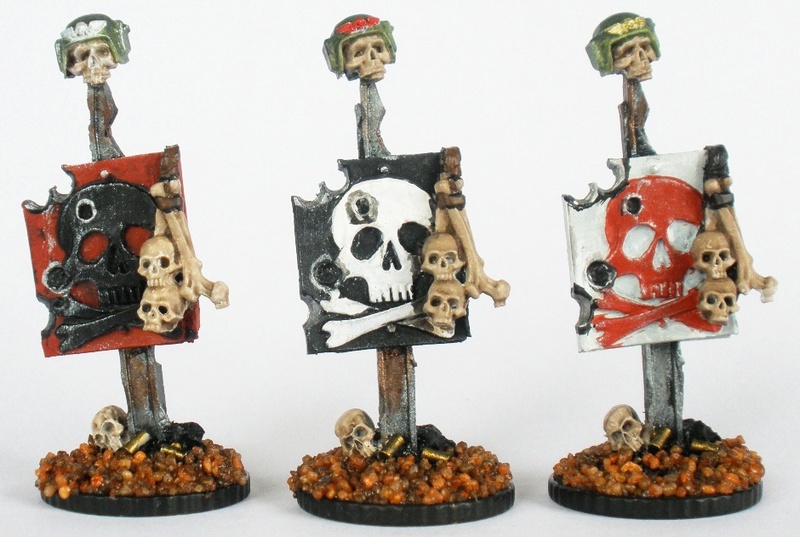 I got the lot (22 pieces) painted up over the course of an evening in front of the TV. They provide interest on the table and look good I think. 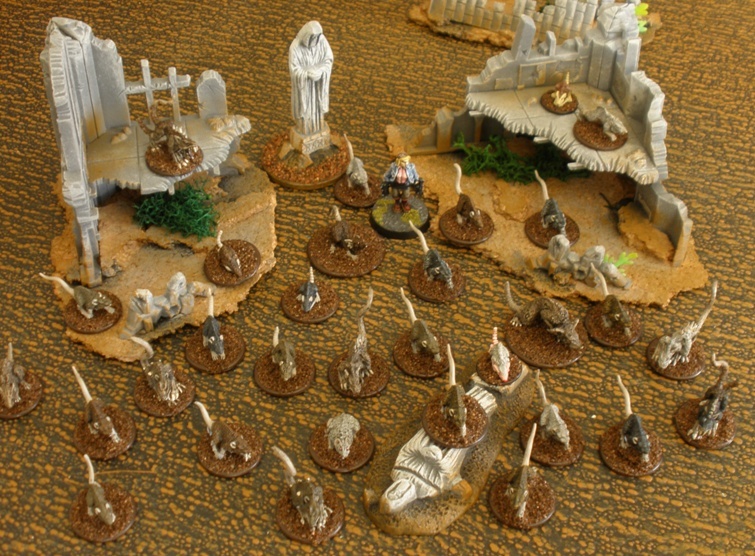 I have been putting together some scenery for gaming with recently. Not a lot of big items, mostly just premade bits and pieces like GW craters and other similar stuff. 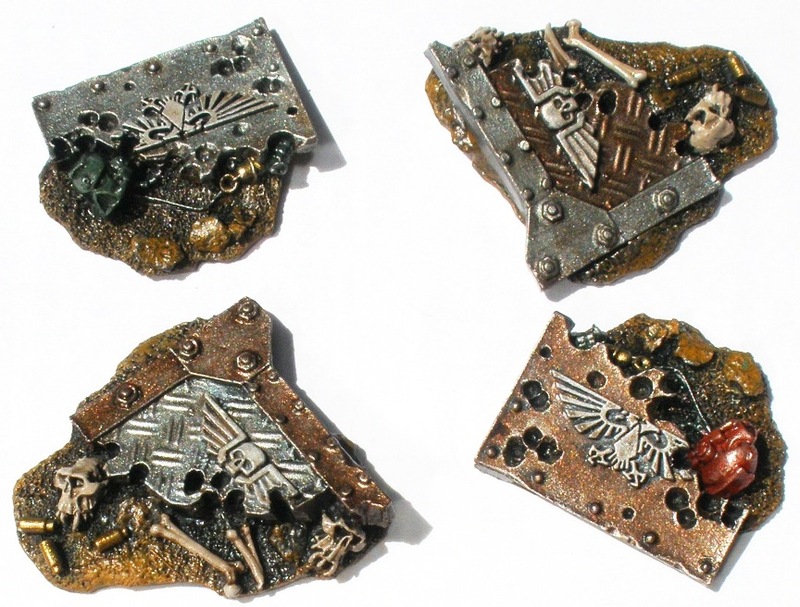 In particular I have been getting together some small terrain markers to serve game purposes such as enounter markers, denoting radioactive or toxic areas, scenario objectives etc, a bit like the Zombie Crows from a little while back. Trixie above fits nicely under “scenario objectives”. 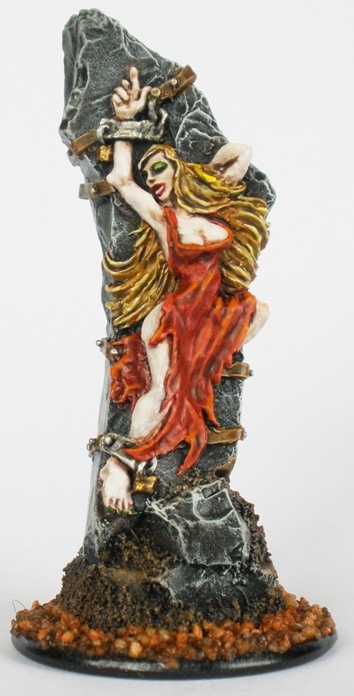 Trixie is promotional resin figure available from Ramshackle Games. They have loads of cool post-apocalyptic stuff for good prices. Recommended.